JMI Limousine is the premier Portland limousine service. We have been in business since 1994, and have always strived to provide our customers with the absolute best luxury transportation at the best value possible. Our knowledge and commitment to customer satisfaction is unrivaled. We are thrilled to be able to provide excellent luxury transportation for our customers living in the Gresham area. At JMI Limousine, the interests of our customers always come first. With our large fleet of luxury limousines and party buses, we are able to provide safe and comfortable transportation for a wide selection of special events. We specialize in providing transportation for weddings, proms, graduations, bachelor/bachelorette parties and sporting events, such as Blazer or Timber games. Unlike most other limo companies, we also offer transportation for extreme outdoor adventures. If you are planning on going skiing, hiking, fishing or golfing, we can safely take you there and back in comfort and luxury. No matter what outdoor adventure you are planning, we can help make it an experience worth remembering. 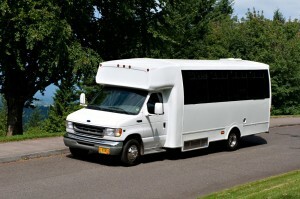 We even offer a distinguished Portland wine tour limo service. Our courteous and knowledgeable chauffeurs can guide you on a detailed tour of the many magnificent Oregon wineries and vineyards. We offer the best limo service in town, with the best rates. Our dedication to safety is unmatched. We have been in business for more than 19 years, and in all of those years we have not had a single accident. When you book our limo or party bus service, you can rest easy with the knowledge that we are the safest limo company in the Portland metro area. All of our drivers must pass a driving skill test and are subject to extensive background checks. This way we can ensure that all of our chauffeurs are safe, intelligent and above all else, good drivers. All of our vehicles have passed motor vehicle tests performed by certified mechanics, and are insured. No other Portland limo service has such a stellar reputation for safety. Our main office is located in Beaverton, right off of highway 217. It is about a 35 minute drive from the heart of Gresham. Our customers are always welcome to visit our office and check out our fleet for themselves. Contact us by phone or through our website to request a free rate quote today!